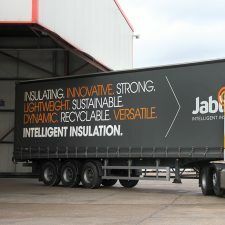 Jablite Inverted Roof Insulation Tapered | Jablite has developed the first BBA-certified tapered Insulation for inverted or protected membrane roofs. 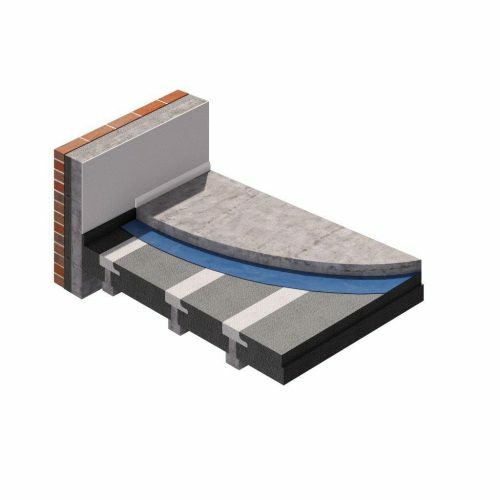 Jablite Inverted Roof Insulation Tapered | Jablite has developed the first BBA-certified tapered Insulation for inverted or protected membrane roofs. 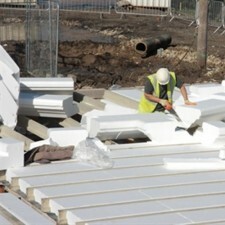 Jablite has developed the first BBA-certified tapered Insulation for inverted or protected membrane roofs. 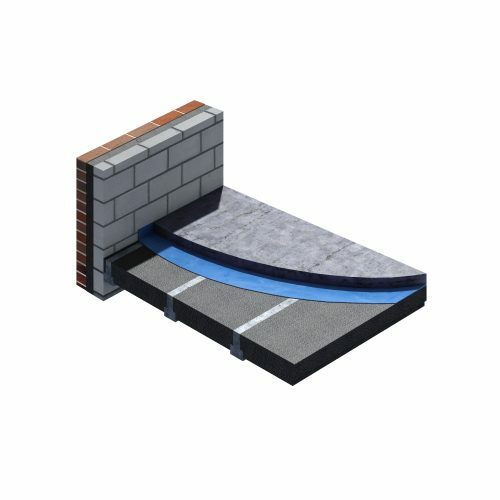 This unique tapered insulation for inverted roofs provides a bespoke-designed drainage fall - removing the need for a screed layer. 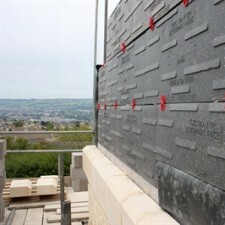 An inverted roof construction places thermal insulation above the waterproof layer. This maintains the insulation at an even temperature and protects the waterproof membrane from the damaging effects of UV radiation and the effects of the weather. 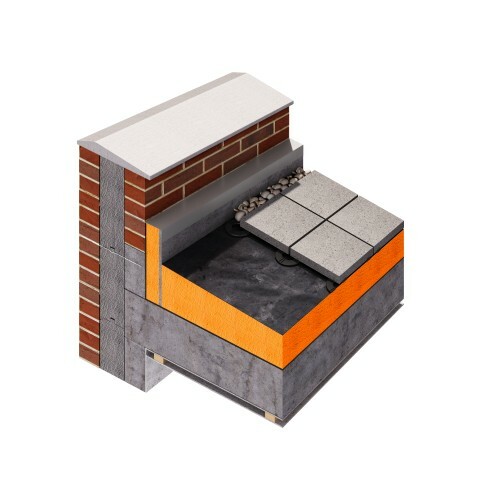 The specified thermal performance of the inverted roof is achieved through the roof design and the thickness of the insulation used. U-values as low as 0.10W/2mK can be achieved. 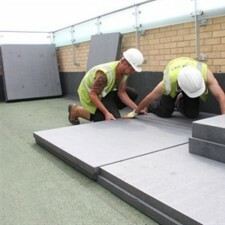 Jablite Filter Membrane is an integral part of the insulation installation with Jablite insulation products for inverted roofs. 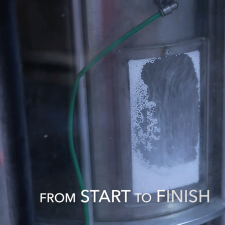 It gives added protection to the insulation and improves the thermal performance of the insulation by reducing water ingress. 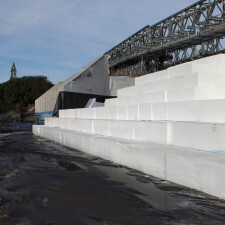 Jablite Tapered insulation for inverted roofs is produced to the requirements of BS EN 13163 ‘Thermal insulation products for buildings – Factory made products of expanded polystyrene (EPS) – specification’.